The Hollow Earth has always been one of those fringe theories that always sounded like a lot of fun in a game. I loved the Jules Verne tale "Journey to the Center of the Earth" and the movie based on it. My exposure to the idea for a game came originally from the old Mystara campaign set, The Hollow World. Later I discovered the "Shaver Mystery" and the Pellucidar series. While I know there is no basis whatsoever in scientific fact for a Hollow Earth, it is a lot of fun. I have even contributed to a Hollow Earth book myself. 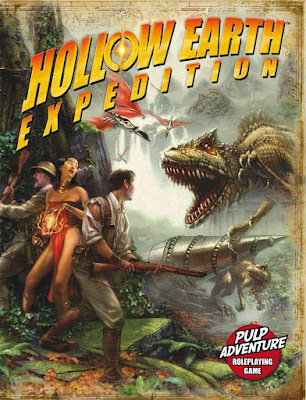 So it was with much excitement that I picked up Hollow Earth Expedition. Full Disclosure: I did write a Hollow Earth book for a different publisher. I avoided looking at or reading this book till long after my own ms was sent in. Full Disclosure 2: I am reviewing both the Hardcover and PDF versions of this game. Let's begin. What is Hollow Earth Expedition? HEX, as it is known, is the first Ubiquity powered game on the market (as far as I know). The setting is "Pulp-era" which I have always roughly translated as the time between the two world wars. Others might have a more nuanced view on this, but this has served me well enough. If gumshoes walk the streets, Indiana Jones is still working at the University and fighting Nazis and cults then this is the time. HEX is two things to me. It is a new game system (Ubiquity) and a new game setting (Hollow Earth). I will deal with each in turn. The HEX hardcover is a gorgeous book. It is 260 pages, mostly black & white (which I want to address) and some color inserts. The PDF is set up in similar fashion. Ok, so the interior is black & white. You know what else is? King Kong, Bela Lugosi's Dracula, Tod Browning's Freaks. All the movies I associate with this era are in black & white as well. Save for Journey to the Center of the Earth and Raiders of the Lost Ark. To me, along with the fantastic art, it really sets the stage for the story I want to tell. So giving the book "the flip test" ie just flipping through it, it has passed well. Chapter 1: Setting sets us up for the rest of the book. We learn a bit about the Pulp Era, the time; it;s 1936, the obligatory "what is Role-playing" section and a brief overview on the book. Then we get right into it with the setting. We start off with an overview of the last 25 years or so from the character point of view. In particular I rather like the section on what characters would know and the speed of information in 1936. Case in point, one of the films mentioned in the game, Becky Sharp, was considered one of the highest tech films made at the time. I can look it up and learn it was a landmark of cinema. I can even watch it at my leisure. But not everyone in 1936 saw it, and not everyone or indeed most people knew what a landmark it was. A lot of people knew it was special. It was color after all, but that was it. The chapter continues with some great overviews of the world post WWI with WWII looming large and frightening on the horizon. There is enough here for a game it's own right and indeed there are many games, good games, out there that never go beyond this. But for HEX this is stage dressing. The real setting is yet to come. Chapter 2: Characters covers what you expect. Character creation. This is where we are introduced to the Ubiquity system for the first time. Character creation is a point-buy affair like many games. In this though they recommend you begin with an archetype in mind. Not a bad place to start really. To me Pulp is about two fisted action. So, and I mean this in the best possible way there is, the characters are often well...stereotypes. "Big Game Hunter", "Gumshoe", "Silver Screen Starlet" and so on. This is Pulp and here it works. Not to sound to cliched, but the difference between a character and caricature is the player. So choose that archetype and embrace it. We are doing more next. Next step is choose your motivation. This is your character's reason for adventure. Quite literally their raison d'être. Next are your Primary Attributes. There are the customary six and you have 15 points to spread between them. These are very similar attributes you find in Unisystem. They are even on a similar scale. The names are different for a few, but the translation is one to one. Ok, to be fair, there is not of a lot things you would call these and it could be said that they are the same as D&D too. So it gets a pass, but I am watching you Ubiquity! Secondary attributes, which are derived. Skills, which are bought with another 15 points. The max is 5 skill levels at character creation. Like d20 (but unlike Unisystem) skills are tied to a particular attribute. You can then choose a Talent or a Resource and then a Flaw. A Flaw gives you a Style point. You are then given another 15 points to spend on Attributes, Skills, Talents or Resources. What follows are archetypes and motivations. There is a lot here really and it works well. Attributes are next. Attributes are scored 0-6 with 1-5 as the range of normal humans, 2 being average. Skills are discussed at length. Ubiquity has 30 skills with some having many specialities. Talents are something special about your character, so aptitude in a particular skill, or a natural ability. Resources are something you have. The section ends with the color pages of various archetypes. If you are short on time you can grab one of these as a your new character. There are plenty of great choices to be honest. Chapter 3: Rules does exactly what it says on the tin. Covers the rules. This is where we are introduced to the Ubiquity dice. Now normally I shy away from games that require me to buy a another set of special dice. But these dice are the most part just d8s. Some are numbered a little differently since they mimic the rolling of 2d8 or 3d8 on one die. The mechanic is simple. Roll a given number of dice (dice pool) and then each even number is a success. So in this respect you can roll anything, d6s, d12s, flipping a coin. The number of sides needs to be even. The successes are added up and compare to a difficulty level. "Easy" would be 1 success, "Average" is 2 and so on. Impossible is anything higher than 9 successes. How many dice do you roll? The number of points in your Skill or Attributes + Skill. So if I want to check the authenticity of a scroll I could use Academics. I'll say I have a 5 in that. Let's say I am a nerdy academic type (yeah real stretch I know) and I have specialization in this, I add +1 so I can roll 6 dice. But say my GM has set the difficulty at 4. I would need to roll 4 or more successes in order to pass it. If I didn't have this skill then I base it on my Intelligence and then -2. There are other modifications to my dice pool. It's sounds difficult but it plays fast. There are also situations where I can "Take the average"; if a situation will result in a success 50% of the time the character can take the average and succeed. There is no style or flair in this, but not everything is a deed of derring do. Like many simple mechanic systems it does fade into the background with play. There are also degrees of Success and Failure. So if you gain 3 successes over what is needed then that is a "Major Success". These extra successes or failures are typically role-played. Style Points are also gained and spent here. Style Points can be added to pools. You gain style points in various ways. My favorite is "bringing the treats". Hey. Every little bit helps. Chapter 4: Combat covers a very specific sort of ruling of the rules presented in Chapter 3. The basic mechanic is the same, but there are other situations. This chapter could have been folded into Chapter 3, but I see why it is seperate. We take a brief intermission for an Example of Play. This is rather handy to be honest to see how everything comes together. Chapter 5: Equipment covers all the gear and weapons your character needs. This is a pretty robust chapter to be honest. If you never play HEX but play other Pulp games then it is worth having a look at this chapter anyway. The costs of weapons alone is very helpful. Chapter 6: Gamemastering details the setting. Ah if the previous chapters were the meat then this is the...well...other meat with more gravy. Ubiquity is a fine, but a system without a setting is an experiment or an SRD. This setting is what makes the system shine. They could have cleanly split the book in half at this place. Chapter 7: The Hollow Earth covers the setting in detail. There is a great mix of all the myths, legends and stories of the Hollow Earth here. Regardless of your familiarity with those myths there is enough here to get you going and get you playing. Let's be honest, you have always want to hunt T-Rexes while running through the jungle with a shotgun. Suspend your logical 2015 mind and take on an adventurous 1936 mind and load up. Chapter 8: Friends and Enemies details what is going on on the Surface World and the Hollow World. 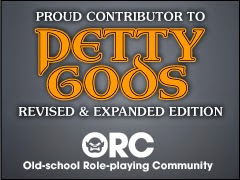 This covers the world and presents some important NPCs and their organizations. Yes. You get to kill evil Nazi cultists and Interior Sea pirates. If you are lucky in the same adventure. Chapter 9: Bestiary is our manual of monsters. We have dinosaurs (and a proper Brontosaurus, no Apatosaurus), Ice age mammals, giant versions of nearly everything, sea monsters, and killer plants. 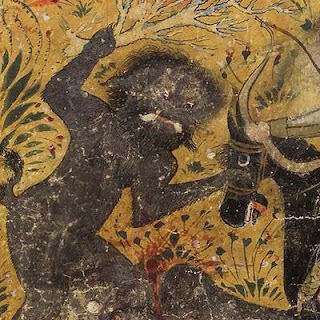 There are no "magical" animals or monsters; no dragons, no centaurs and the like. This is 1936 and magic has given away to reason and to science. Another break for a Sample Adventure. We spend the last few pages with an Appendix on Pulp Resources and Inspiration. Lots of great resources here including books on the Pulp Adventure Era. Yes, Lovecraft is present here, but there is not much in this game that is "Lovecraftian" as it typically defined. This is a good thing in my mind. Books get the most treatment. Comic Books, Movies and TV series get lists. There is also a rather good Glossary and Index. There is a character sheet for your use as well. All in all a great game. I have played it a few times and it is really, really fun. The setting is gonzo but without the crazy. I could have a lot of fun with this. 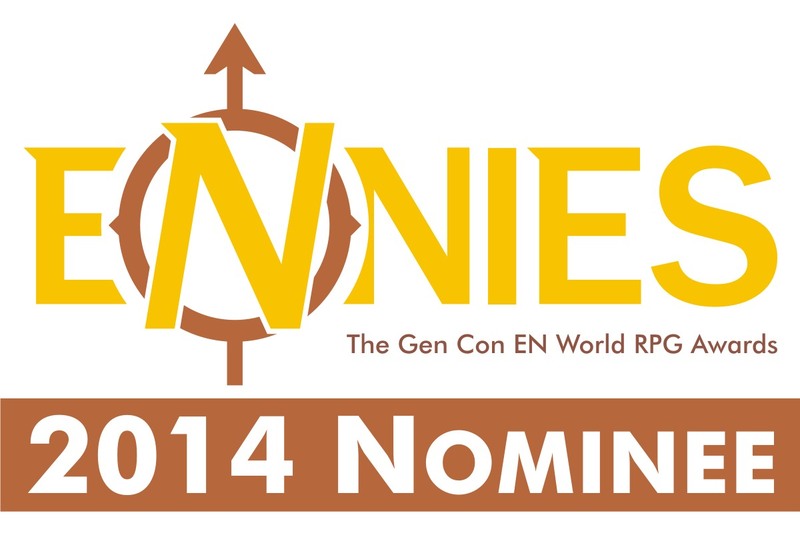 The game sits nicely between Unisystem and Savage Worlds in terms of playability for me. Though I will say that HEX does everything I wanted from Savage Worlds, it just does it better in my mind. Tomorrow I'll talk more about Ubiquity and Unisystem and how I convert between the two. Ugh. HEX. I love this game. I hate this game. The Ubiquity system isn't terrible...it's got a lot of nice bits (though it gets a bit too crunchy at times (as I think the example of the dude hunting the tyrannosaurus shows). For my money, I don't find the characters get enough points at chargen to model true pulpy characters. Still like the concept. Still own the book (and Secrets of the Surface World). Still think they're beautiful, well-made products. But it has some stumbling blocks for me. You might want to look into Unisystem then. The characters tend to be a bit more powerful at start up.